(1) Ananta chaturdashi vrata: Chaturdashi is the fourteenth day of the lunar fortnight. On that day. an image of Vishnu is bathed in clarified butter and worshipped. This enables one to obtain versatile children. In an alternate form of this vrata. an image of Shiva is worshipped in shuklapaksha when the nakshatra Bhadrapada is in the sky. This leads to the fulfillment of all desires. (2) Bhishmapanchaka vrata; This is observed in shuklapaksha in the month of Kartika. Liquor. meat and falsehood are avoided and Lord Vishnu is worshipped. This vrata is observed when one needs to get absolved from the sin of killing a brahmana. (3) Ashoka vrata: The ashoka tree is worshipped so as to eliminate all grief (shoka). (5) Govatsa dvadashi vrata: A cow and a calf are worshipped on dvadashi (the twelfth lunar day) during krishnapaksha in the month of Kartika. Celibacy is observed and the worshipper sleeps on the bare floor. This too enables one to attain Goloka. (6) Govinda dvadashi vrata: This is observed on the twelfth lunar day, during shuklapaksha and in the month of Pousha. Cows are fed. the observer lives on milk and abjures the use of salt. (7) Kukkuti vrata: Shiva and Parvati are worshipped when the nakshatra Bhadrapada is in the sky. Provided that one combines this worship with the wearing of the sacred thread. the premature death of one's children is avoided. (8) Madhuka tritiya vrata: On the third lunar day (tritiya) and in the month of Falguna. the observer worshipS the goddess Gouri and the madhuka tree so as to obtain a son. (9) Naga panchami vrata: On panchami (the fifth lunar day), the observer fasts for a day. He then bathes images of snakes (naga) in milk and worships them so as to obtain protection from snake-bites. 10) Ulka dvadashi vrata: This is observed on the twelfth lunar day in the month of MargashirSha. Vishnu is worshipped so as to cure disabilities like deafness and dumbness and diseases like leprosy. (11) Vinayaka chaturthi vrata: The god Ganesha (Vinayaka) is worshipped on chaturthi (fourth lunar day). The observer eats sesame seeds and makes offerings to the fire. This vrata has the effect of removing all impediments. (12) Shanti vrata: This involves the worship of Narayana (Vishnu) in shuklapaksha in the month of Kartika. In addition,one must stop eating all manner of sour objects for a period of one year. This vrata restores family harmony. (13) Sarasvati vrata: The observer has to periodicallY fast for a period of thirteen months and worship sarasvati, the goddess of learning. This observance allows one to become learned. (14) Ashunyashayana vrata: The observer periodically fasts for a period of four months and offers sweet seasonal fruits to different gods. This ensures that a couple stays ever united. 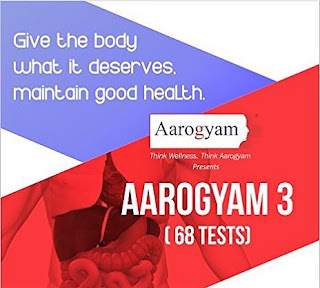 (15) Aviyoga tritiya vrata: This vrata also ensures marital harmony and is observed on the third lunar day, during shuklapaksha, and in the month of Margashirsha. Different gods are worshipped in the course of this observance. 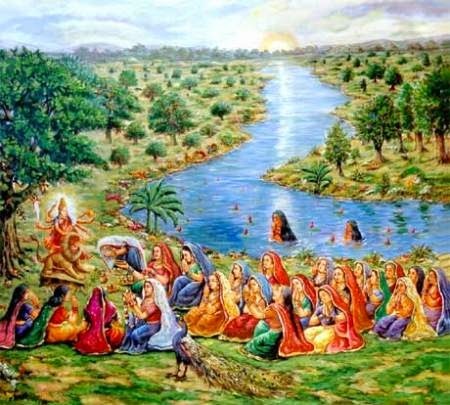 (16) Vatasavitri vrata: Beginning on the thirteenth lunar day in shuklapaksha, when the nakshatra Bhadrapada is in the sky, one fasts for three days and recounts the story of Savitri and Satyavana. (This story can be found in other Puranas and in the Mahabharata. Savitri's husband Satyavana had died. Savitri convinced Yama of her devotion and persuaded the god of death to bring her dead husband back to life.). The observance of this vrata guarantees marital harmony. (17) Yama vrata: The god Yama is worshipped so as to fulfil all worldly desires. If you like my work, please consider donating some crypto coin. Copyright © 2017 Hindupath. All Rights Reserved. Copyright © 2017 Hindupath. Template by Themeindie.com, All Rights Reserved.